How do companies grow from zero to a gazillion? Legendary Silicon Valley investor / entrepreneur Reid Hoffman tests his theories with famous founders. Guests include Facebook’s Mark Zuckerberg & Sheryl Sandberg, Netflix’s Reed Hastings, Google’s Eric Schmidt, Spanx's Sara Blakely. With original music and hilariously honest stories, the show sounds like nothing you’ve ever heard. 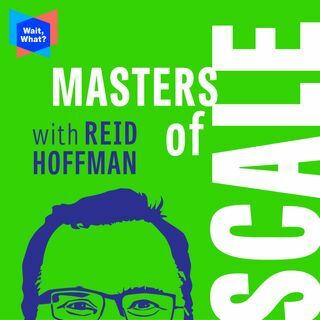 Masters of Scale is a WaitWhat original series in association with Stitcher.